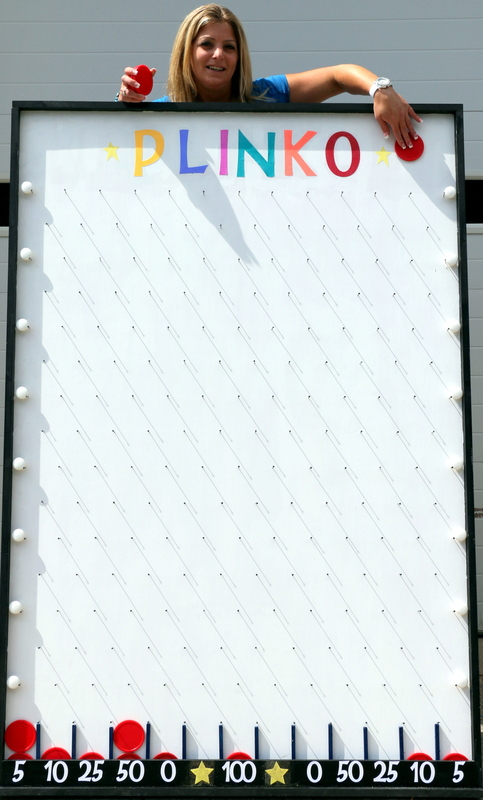 Plinko is great for Casino and Carnival Themes, Grand Openings, School or Trade Show Events, and much more. Can be customized for your next event. Measures 6' high and 4' wide. Plinko is great for Casino and Carnival Themes, School or Trade Show Events, Grand Openings and much more. Can be customized for your next event. Measures 6' high and 4' wide. Experience the excitement of a live television game show. We supply an Emcee, Hostess and a technician. The letters turn on a 4ft high by 7ft wide backdrop surrounded by rope lights. Included are: THE wheel, sound system, podium, skirted board and music. Solving the puzzle is done by three contestants or three teams.